This classic safari takes you to some of Africa's ultimate wildlife areas - Tarangire National Park, the Ngorongoro Crater and Serengeti National Park. Tarangire National Park, home to large herds of Elephant and migratory Wildebeest, Zebra, Buffalo, Gazelle, Hartebeest, Eland and Oryx; Ngorongoro Crater, the World’s largest volcanic caldera, which naturally confines a plethora of wildlife; Serengeti National Park which witnesses one of the world’s most incredible wildlife experiences - The Great Migration. 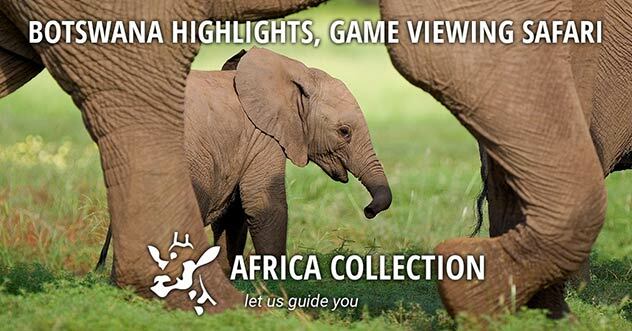 Wonderful game viewing and photography opportunities. One of the world’s most incredible wildlife experiences - The Great Migration. Ngorongoro Crater, the World’s largest volcanic caldera. The Serengeti - One of Africa’s truly great safari destinations. 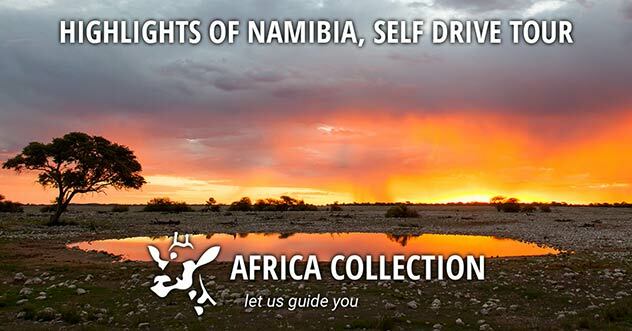 Private driver/guide & customised 4x4 safari vehicle. Pick up Kilimanjaro int’l airport and transfer by road to Arusha. Overnight at Kibo Palace Hotel in Arusha. The Kibo Palace Hotel is located in the town centre of Arusha in northern Tanzania. This 77 bedroom business style hotel is set in the garden suburbs to the east of the town centre. The Kibo Palace Hotel is located in the town centre of Arusha in northern Tanzania. This 77 bedroom leisure and business style hotel is set in the garden suburbs to the east of the town centre. The Kibo Palace Hotel is located in the town centre of Arusha in northern Tanzania. This 77 bedroom leisure and business style hotel is set in the garden suburbs to the east of the town centre. Simple and stylish – the hotel has a large pool, set in tranquil gardens, as well as a large restaurant and bar lounge area. 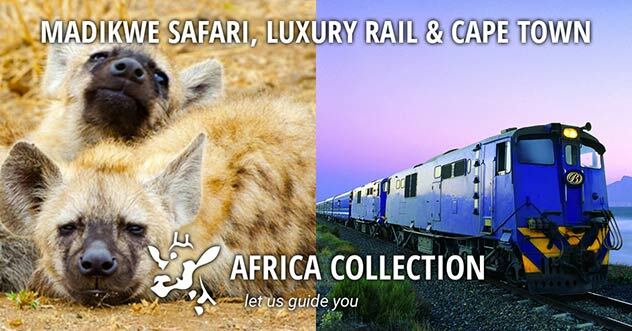 The hotel offers a comfortable stay – and works well for a one night stop at either the start or end to your safari holiday. Our Opinion - A good value, central town hotel with good amenities and lovely staff. 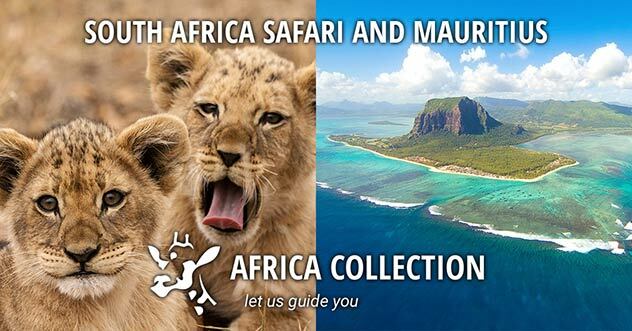 You will be met at Kilimanjaro airport (or Arusha lodge/hotel) by your driver/guide for the start of your safari, and transferred in your customised 4x4 safari vehicle to Maramboi Tented Camp for a 2 night stay. Maramboi Tented Camp is ideally placed to explore the ecosystems of both Tarangire and Lake Manyara National Park. Located in the Manyara Region and named after the only water source for wild animals during dry seasons - the Tarangire River - Tarangire National Park is superb for wildlife. During dry season giraffes, buffalo, zebra, wildebeest, lions and hippos are common. Bird life is thriving and comprehensive, with Tarangire being home to over 500 species ranging from Ostriches to Lovebirds. A Lake once described by Ernest Hemingway as "the loveliest I had seen in Africa", Lake Manyara is full of stunning scenery. From the moment you enter the entrance gate, you are immersed in a lush groundwater forest, watched by relaxing baboons as blue monkeys dart in-between the ancient trees. Maramboi Tented Camp is ideally placed to explore the ecosystems of both Tarangire National Park & Lake Manyara National Park. Sited on the endless rolling golden grasslands. Maramboi Tented Camp is ideally placed to explore the ecosystems of both Tarangire National Park and Lake Manyara National Park. Sited on the endless rolling golden grasslands and palm-fringed desert that lies between Tarangire and Lake Manyara, the camp offers the splendour of the Great Rift Valley, stunning views over Lake Manyara, easy access to the Ngorongoro Highlands and the background of Ol Donyo Lengai, the sacred mountain of the Maasai. Maramboi Tented Camp is situated on a 25,000 hectare Maasai communal ranch. During the wet season the ‘pans' (shallow depressions) of this area fill with water, which attracts huge flocks of flamingoes and other water birds. The camp is also ideally placed for watching the migration of the wildebeest, which on the tree-less plains can be more easily and more graphically observed than elsewhere. The camp offers 20 spacious tents & 10 lodge rooms, all surrounded by timber decks, while activities include guided walks, ornithology and cultural interaction with the Datoga and Maasai people, whose communities lie adjacent to the camp. The camp has a swimming pool. Located in the Manyara Region and named after the only water source for wild animals during dry seasons - the Tarangire River is a much overlooked safari destination. Sometimes only given a passing visit, Tarangire National Park is a much overlooked safari destination. Located in the Manyara Region and named after the only water source for wild animals during dry seasons - the Tarangire River. During the dry season (late June to October) thousands of animals migrate to Tarangire from Manyara park to the north. There is an abundance of elephants, estimated to be over 3,500. This national park is now used as a refuge for these magnificent and once over hunted animals. Seasonly, Tarangire is superb for wildlife. During dry season giraffes, buffalo, zebra, wildebeest, lions and hippos are common. Bird life is thriving and comprehensive, with Tarangire being home to over 500 species ranging from Ostriches to Lovebirds. The landscape is incredibly diverse with a mix that is not found elsewhere in the northern safari circuit. Huge numbers of Baobab trees are dotted throughout, many of these have lived for over a thousand years. Elephants, baboons and monkeys can be found feeding from these astonishing trees. A Lake once described by Ernest Hemingway as “the loveliest I had seen in Africa”, Lake Manyara is full of stunning scenery. You are immersed in to a lush groundwater forest. A Lake once described by Ernest Hemingway as "the loveliest I had seen in Africa", Lake Manyara is full of stunning scenery. From the moment you enter the entrance gate, you are immersed in to a lush groundwater forest, watched by relaxing baboons as blue monkeys dart in-between the ancient trees. Contrasting with the intimacy of the forest is the grassy floodplain and its expansive views eastward, across the alkaline lake, to the jagged blue volcanic peaks that rise from the endless Maasai Steppes. Herds of Wildebeests, zebra and large buffalo congregate on these grassy plains, as do giraffes – some so dark in coloration that they appear to be black from a distance. Heading inland of the floodplain, you can find Manyara's famous tree-climbing lions, and elephants within the acacia woodland. The variety of bird life at Lake Manyara National Park is staggering. There has been over 400 species recorded in the park with diversity ranging from Flamingos wading in the lake, to the Long-crested Eagle soaring effortlessly above, and the Grey-headed Kingfisher perched on a branch waiting patiently for the next passing insect. It is entirely possible to see a hundred species in one day, even for a first time visitor. Continue on to Kitela Lodge in the Karatu region, an exclusive lodge situated on top of a valley overlooking a coffee plantation, the Eastern wall of the Ngorongoro crater and a beautiful waterfall, affording visitors a different, 'non-safari' perspective on Tanzania. The Ngorongoro Conservation Area covers a staggering 8,000km2 of wildlife sanctuaries. The biggest feature of this incredible landscape is the Ngorongoro Crater, the world's largest unfilled volcanic caldera. The crater was born from a huge volcanic eruption 2-3 million years ago, and it's floor covers 260 square kilometres. Providing good grazing all year round, this area is inhabited by hippopotamus, elephants, wildebeests and many other wildlife species. The Ngorongoro crater also has one of the densest known population of lions on earth. A Ngorongoro wildlife safari provides one of the best opportunities to see the animal species East Africa is famous for. The Great Wildebeest Migration, during the early months of the year, creates breath taking scenes as the area is inhabited by enormous herds of wildebeests and zebra. Kitela Lodge is a small, exclusive lodge situated on top of a valley overlooking a coffee plantation, the Eastern wall of the Ngorongoro crater and a beautiful waterfall. It consists of 20 suites. Kitela Lodge is a small, exclusive lodge situated on top of a valley overlooking a coffee plantation, the Eastern wall of the Ngorongoro crater and a beautiful waterfall. It has 20 suites. Kitela Lodge is a small, exclusive lodge situated on top of a valley overlooking a coffee plantation, the Eastern wall of the Ngorongoro crater and a waterfall. It has 20 suites. Kitela Lodge is a small, exclusive lodge situated on top of a valley overlooking a coffee plantation, the Eastern wall of the Ngorongoro crater and a beautiful waterfall. It consists of 20 spacious suites in cottages built in the style of an old colonial farm offering guests a relaxing, quiet atmosphere surrounded by beautiful gardens. Includes pool and African SPA. Meals are normally served in the main building and sometimes a buffet lunch is set-up around the pool. Guests have an ample choice of food prepared with home produced vegetables and served in buffets. Activities include: Trekking in the Ngorongoro Conservation Area - guided walks in one of the most attractive areas of the Ngorongoro Conservation Area; Walk with a guide from the farm showing how the farm runs, visiting vegetable garden, farm animals; Masai Culture Walk - walk with a guide round the small villages, visiting the brick makers and coffee farms. The Ngorongoro Crater, the biggest feature of the Ngorongoro Conservation Area is the largest unfilled volcanic caldera - born from an eruption 2-3 million years ago. Once part of the huge Serengeti National Park, the Ngorongoro Conservation Area covers a staggering 8,000km2 of wildlife sanctuaries. The biggest feature of this incredible landscape is the Ngorongoro Crater, the world's largest unfilled volcanic caldera. The crater was born from a huge volcanic eruption 2-3 million years ago. It's floor covers 260 square kilometres of open grassland, with two small wooded areas populated with the green-leafed Fever Tree. Near the eastern crater wall sits one of the major water sources, the Ngoitokiitok Spring. Rainwater flows down from the western crater supplying vital fresh water and providing good grazing all year round. This area is inhabited by hippopotamus, elephants, wildebeests and many other wildlife species. The Ngorongoro crater also has one of the densest known population of lions on earth. Lake Magadi provides another water source within the crater, thousands of flamingos can be seen wading alongside the myriad of birdlife. A Ngorongoro wildlife safari provides one of the best opportunities to see the animal species East Africa is famous for. The Great Wildebeest Migration creates breath taking scenes. During the early months of the year the area is inhabited by enormous herds of wildebeests and zebra. An estimated 400,000 wildebeest are born during late January through to March. The concentration of the herds attracts lion, cheetah and hyena, whilst in the wooded areas giraffe, elephant and buffalo are easily spotted. The ancient origins of the Ngorongoro Conservation Area are there to see. At Laetoli, west of the Ngorongoro Crater, hominid footprints are preserved in volcanic rock 3.6 million years old. These represent some of the earliest signs of mankind on the planet. A couple of hours north takes you to the Olduvai Gorge, the most famous archaeological location in East Africa. It was here that Louis and Mary Leakey discovered four different kinds of hominid, the first being 'Zinjanthropus' who lived 1.75 million years ago. The Ngorongoro Crater is a spectacular place with history dating back to the earliest signs of man. 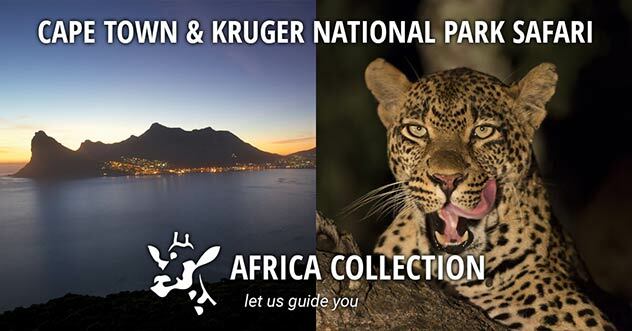 Staggering landscapes and wonderful wildlife make this one of the most special places on the planet. 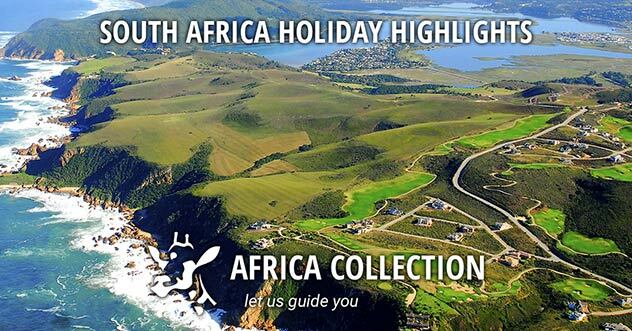 One of Africa’s truly great safari destinations. 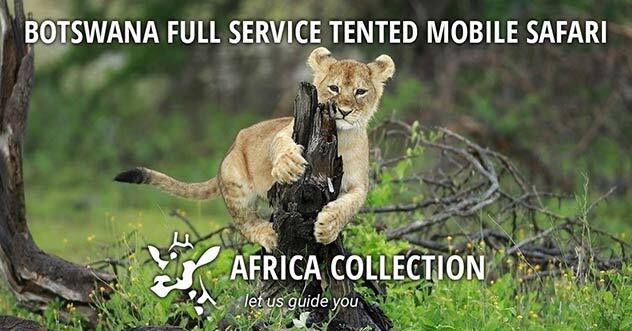 Your home for the next 2 nights is Kati Kati Tented Camp, a permanent camp, in a mobile camp style. The camp is well located in Central Serengeti to access the vast Serengeti Plains, and from June to November where the greatest concentration of animals can be found. This African region is truly worthy of its World Heritage status. With 1.5 million hectares of savannah, it is still possible to find yourself the only human audience to the awe inspiring wildlife. Serengeti National Park has become famous for the annual migration of two million wildebeests, with hundreds of thousands of gazelles and zebras. An unrivalled display of nature is created as predators follow searching for pasture and water. The visceral dynamic of predator vs prey is dominant across the Serengeti. Golden-maned lion prides feast on the abundance of plain grazers. Solitary leopards haunt the acacia trees lining the Seronera River, while a high density of cheetahs prowls the southeastern plains. The sprawling landscape of the Serengeti is made up of grassland and woodland, plains, kopjes, and marshes; all of which make up a savannah. Whatever wonders you see in the Serengeti, you can be sure that they will never leave you. The sense of freedom that stems from the vast spaces characteristic of this World Heritage site will follow you home. A tented camp, in a mobile camp style, located in Serengeti, strategically located to cover the vast Plains. Serengeti Kati Kati Tented camp offers comfortable accommodation. A permanent tented camp, in a mobile camp style, located in Central Serengeti, strategically located to cover the vast Serengeti Plains. Serengeti Kati Kati Tented camp offers comfortable accommodation and a unique opportunity to enjoy a real and traditional safari camp experience. The camp is only a two hour scenic drive from Olduvai Gorge Museum and Grumeti River. A cosy mess tent is located in the centre of the camp where meals are served. The campfire is ready every evening for appetizers and snacks before dinner. 10 tents with en suite facilities. Activities include: Game drives, Sundowners, Aperitifs around the camp fire, Visit to Maasai village and cultural activities (Subject to location), Special arrangements for Honeymooners. This African region is truly worthy of its World Heritage status. With 1.5 million hectares of savannah, it is still possible to find yourself the only human audience to the awe inspiring wildlife. Serengeti National Park has become famous for the annual migration of two million wildebeests, with hundreds of thousands of gazelles and zebras. An unrivalled display of nature is created as predators follow searching for pasture and water. The visceral dynamic of predator vs prey is dominant across the Serengeti. Golden-maned lion prides feast on the abundance of plain grazers. Solitary leopards haunt the acacia trees lining the Seronera River, while a high density of cheetahs prowls the southeastern plains. Whilst the perfect environment for game-viewing, there is more to the Serengeti than the 'Big 5'. Sometimes overlooked within a Safari context, the Serengeti is home to over 500 bird species. From the Ostrich rushing through the grassland, the Black Eagle soaring above the Lobos Hills, to the chattering Lovebird and Giant Kingfisher, birds are one of the most diverse life forms on earth. The Serengeti is home to the herbivores, insectivores, predators and scavengers alike. The sprawling landscape of the Serengeti is made up of grassland and woodland, plains, kopjes, and marshes; all of which make up a savannah. A multitude of plant species highlight the terrain providing food and refuge for the native wildlife. You may witness an African Elephant collecting the 5kg fruit of the Sausage Tree, or the gnarled and twisted forms of the Strangle Fig wrapping around it's host. Seeing the biological diversity present in the Serengeti is truly special. The savanna stretches away to a golden horizon, and yet, after the rains, this golden expanse of grass is transformed into an endless green carpet flecked with wildflowers. And there are also wooded hills and towering termite mounds, rivers lined with fig trees and acacia woodland stained orange by dust. Whatever wonders you see in the Serengeti, you can be sure that they will never leave you. The sense of freedom that stems from the vast spaces characteristic of this World Heritage site will follow you home. Your safari ends today with an onward light aircraft flight from Seronera Airstrip in the Serengeti. After your thrilling safari, with plenty of early starts, many miles covered, lots of excitement & adventure, and adrenaline expended, why not head for the beach to relax and fully recharge your batteries. Zanzibar is an archipelago in the Indian Ocean, 15-30 miles off the east coast of the Tanzanian mainland. Zanzibar is largely made up of two islands, Unguja (the bigger and most populated of the two - often referred to as Zanzibar) and Pemba. There are a number of fabulous hotels and resorts on Zanzibar, many with spectacular ocean-front locations with staggering views of the powder white sand and the tropical waters beyond. From large, exclusive resorts to boutique hotels, to authentic African beach lodges, Zanzibar and Pemba boast a fantastic array of accommodation to ensure your visit is truly memorable. The Tanzania coastline, the Swahili Coast, was a favoured stop on ancient trading routes between the Indian sub-continent and the Middle-East, and blends African, Asian & Arabic cultures. 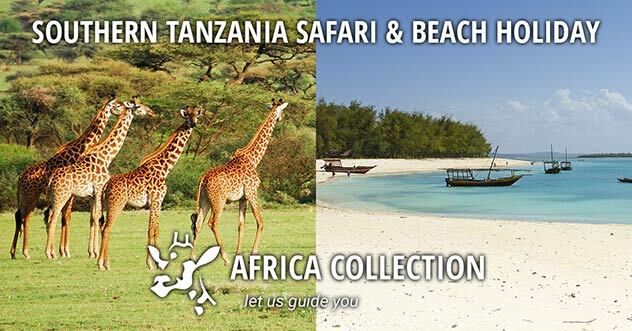 Today it offers an exotic beach extension to your safari. Traditional dhows still ply these waters. Cost is based on 4 people travelling & consequently the cost will reduce for more passengers, and increase for less than 4 passengers. Easter/Christmas/New Year supplements will apply. 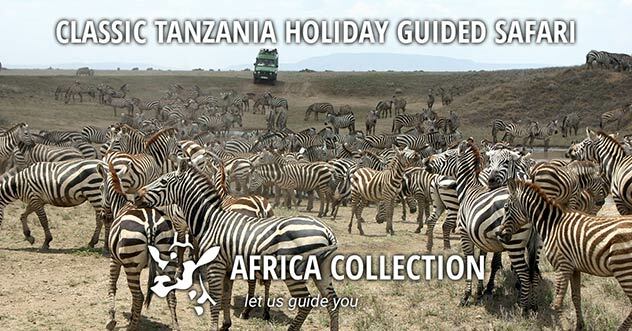 This safari is the classic 'northern circuit' in Tanzania, which can be adapted to use different camps in Serengeti National Park, to follow the Great Migration. The same route can also be used with more upmarket camps if required. This is based on a private vehicle and driver/guide, again there are more luxury vehicles available if required. But what this isn't is a minibus tour in big hotel-style lodges, all of the camps and lodges used are smaller independent properties, and within the restrictions that the itinerary demands you can travel at your own pace. With ever increasing flight options and connections you can combine this trip with Zanzibar, Mauritius and the Seychelles for a beach extension. 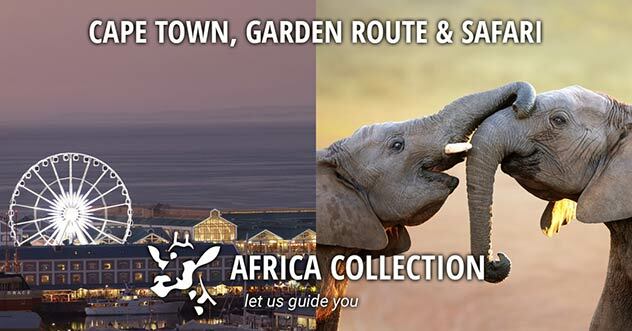 Dubai, Victoria Falls, Cape Town & South Africa and Mozambique, for something different. Or one of the great lakes in Africa. Or Rwanda for a Mountain Gorilla experience. There are plenty of options! "I wanted to say thank you from us all for an outstanding holiday! I know it took several/many iterations, but it was worth it as we have had the best holiday ever by quite a large margin." "We had a great holiday thank you… everything went smoothly. We had a lounge at Dar to help with the transit…. But wey had a really lovely time – all good. Thanks for looking after us."